Hi everyone! Today I have a card to share that I created almost two months ago and am finally getting the chance to post. I absolutely adore making shaker cards, for a variety of reasons, but I wanted to up the ante and create something that I’ve never seen before: a double layer shaker card. 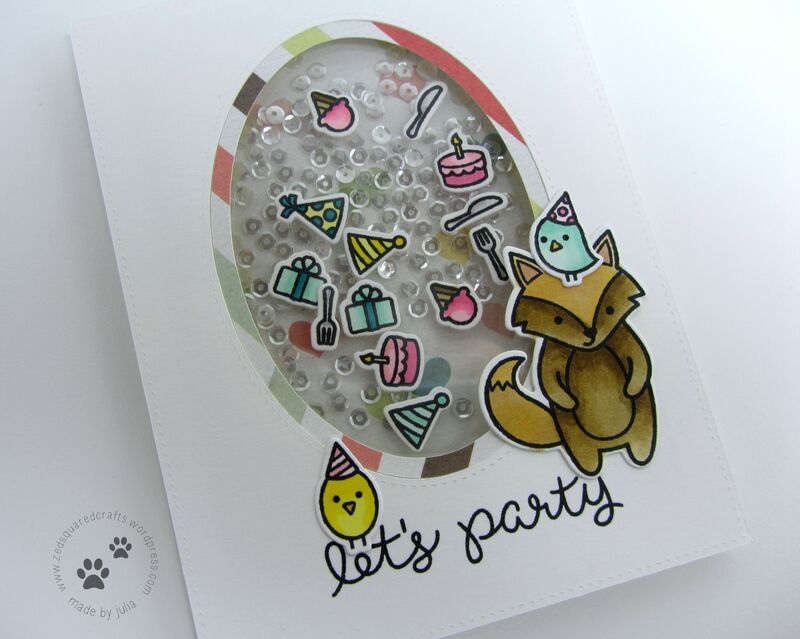 There is of course a how-to video so you can follow along as I create the card. You can watch the video below, or over on my YouTube channel. Creating the shaker portion was just as easy as it always is (layer foam tape over acetate), but this time I created two separate chambers for my shaker material. The top layer is a whole bunch of fun party confetti, and the bottom layer is my favorite sequins from Pretty Pink Posh. The effect of the two separate shaker section is really neat in real life and I’m so pleased with how this card turned out. If you like this card, you may also like the floating shaker card that I created a couple months ago. You can see it over on my YouTube channel in case you missed it.